Whether you’re celebrating the woman who brought you into this world, the mother of your own progeny, or even her mother (believe it), it behooves a fella to have a plan come Mother’s Day. Thus we bring you Three Failsafe Mother’s Day Plans, a foolproof blueprint to keeping all the important ladyfolk in your life happy on this, their day of days. The places to stroll. The sights to see. The brunches to eat. Oh, and because it wouldn’t be the worst thing in the world for you to enjoy this as well, the $200,000 convertible to drive to said brunch. Enjoy, and don’t forget to tell her how nice she looks. While not a certainty, we’d say there’s a high probability that pampering, shopping and brunch are on your lady’s (or mama’s) list of interests. So indulge her. Get her a little nail tune-up. Treat her to a tasty repast at a hot new Williamsburg resto. Buy her a trinket, maybe. She’ll thank you, we promise. If you’ve not sat in a massage chair next to your lady while a team of professionals tend to your respective tootsies, you, sir, are missing out. Kick it off at Primp and Polish on Grand St. — she’ll appreciate you joining in on her ritual, you’ll appreciate the aforementioned massage chair and having your dogs resurrected from their sorry winter state. Right around the corner from P&P you’ll find Manila Social Club, the new permanent digs of Bjorn Dela Cruz’s celebrated pop-up supper clubs. Filipino-inspired grub and a helluva brunch menu — last one to the mango souffle pancake ala mode is, well, bummed. A casual stroll down the main drag of Bedford lands you at jewelry and curio emporium Catbird. Long story short, the kind of shop ladies will be impressed you know about. The key here: let her peruse. Chances are she’ll see something she likes but not commit. So when you leave, claim you forgot something at the restaurant. And go back and buy that bauble. A quick jaunt out of the city will pay major Ma’s Day dividends, especially if the drive is part of the fun. So grab yourself a fancy whip. Stop for some farm-to-table grub on your way north. Spend the afternoon soaking in some culture and some sunshine in the great outdoors. Gotham Dream Cars has the most expansive fleet of luxury rides in the city, and this is the perfect excuse to relieve them of one. 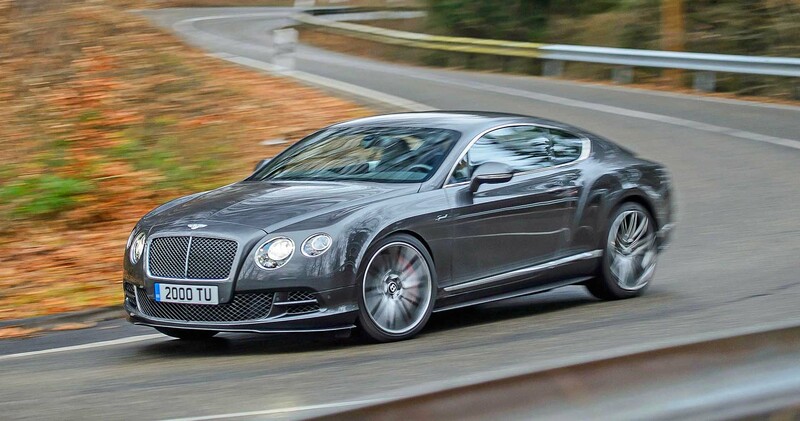 Pro tip: if the day is nice and you do not opt for the Bentley Continental convertible, you’re doing this wrong. Less than an hour north of the city you’ll find Restaurant North, a handsomely appointed farm-to-table bistro run by a couple of Union Square Café vets. A daily-rotating menu of New American dishes (think pan-seared foie gras with peanut butter and rhubarb-pepper jelly), all made with ingredients sourced from within 60 miles of the restaurant. Bonus: killer wine list. Keep headed upstate toward Cornwall, and stop when you encounter verdant farm fields inexplicably filled with modern art sculptures. This is Storm King Art Center, it is just now open for the season, and it is the perfect place to spend an afternoon strolling, chatting and soaking up the spring we spent so long dreaming of. For many years and despite your various and sundry dietary peculiarities. Now it is your turn to cook for her. But first: a lesson from one of NYC’s most respected culinary coaches. Mom can tag along and give you notes. And on the post-prandial docket: one of our favorite Manhattan cocktail spots and a stroll to the city’s (sort of) newest art museum. De Gustibus invites top toques to host 2-3 hour cooking seminars in their sprawling Midtown test kitchen. On May 9th (that’s Mother’s Day Eve, for those counting), master chef Marc Bauer will host a course on the art of the culinary knife. Take Mom and learn yourself some blade skills. Then on May 10th, wake up early and put your new skills to use by cooking mom brunch (here’s a great recipe — with video tutorial — for a Traditional Italian Frittata). Gallow Green at the McKittrick Hotel is equal parts time machine, enchanted forest and best rooftop bar in Manhattan. If you’re lucky, the roving gypsy band will be in the house spinning live tunes. Regardless, you and mom will be enjoying some of the city’s best craft cocktails and great views of the Hudson. 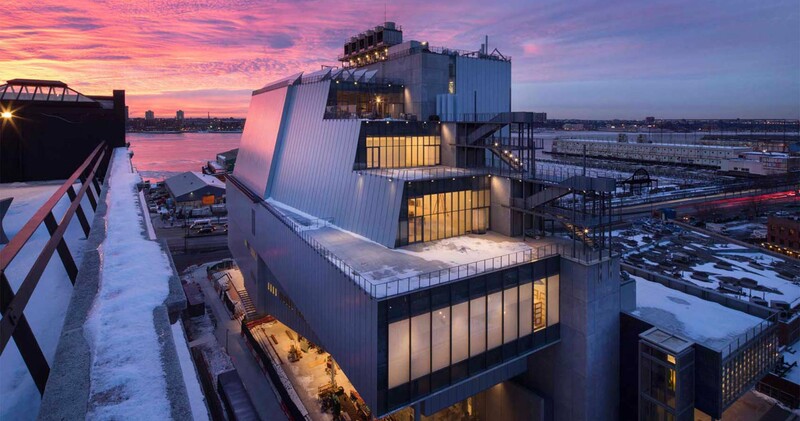 Spirits enlightened, head up to the Highline (closest entrance: 10th Ave. and 27th) and take it to its southern terminus, where you’ll find the newly reopened outpost of the Whitney Museum of American Art. They cut ribbons May 1st, and the inaugural exhibition — “America Is Hard to See,” named for a Robert Frost poem — will roll out some 650 works from the Museum’s storied archives.